Though calcium is the primary nutrient necessary for bone health, there are actually several other vitamins and minerals that help build strong, healthy bones. And, all bone building nutrients must be consumed in adequate amounts throughout the lifespan to support the development of peak bone mass during adolescence and prevent bone loss later in life. Which Vitamins Provide Bone Support? In addition to the minerals calcium, copper, zinc, fluoride, magnesium, phosphorus and potassium, vitamins C, D and K help build strong bones. Among these, vitamin D stands out as one of the most important, yet under-consumed, nutrients for optimal bone health. Calcium supports both the structure and function of teeth and bones. And though regular calcium intake is essential, this mineral doesn’t work in isolation – vitamin D helps the body absorb calcium. Therefore, if a person is deficient in vitamin D, calcium absorption and bone mineralization will both decrease. Few foods naturally contain vitamin D. And, excellent natural sources of this vitamin such as swordfish, salmon, canned tuna and cod liver oil, are not common, everyday foods for many people. However, a select number of other foods are fortified with vitamin D including milk, some orange juices, yogurts and cereals. The human body can also make vitamin D upon exposure to sunlight. However, several factors hamper the body’s ability to absorb the sun’s UVB rays such as skin color, smog, cloud cover, shade and sun block. And in the winter the sun’s rays are not strong enough in the middle and northern states for the body to produce adequate amounts of vitamin D.
Adolescence and early adulthood are the peak years for building bone density and after this time period, adults start slowly losing bone mass in their mid-30s. This process rapidly accelerates in females at approximately age 50 when menopause causes a sharp drop in the hormone estrogen, which protects bone mass and strength. However, women can take charge of their health and do their best to minimize bone loss by engaging in regular physical activity and eating a diet rich in calcium, vitamin D and other bone building nutrients. Though all physical activity is beneficial for the body, resistance exercise, such as strength training, is ideal for bone. Lifting weights puts the bones under stress keeping them strong. In addition, muscle pulls on bone tissue making it stronger. In addition to exercise, diet is important. 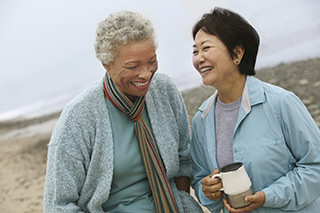 At age 50 a woman’s calcium requirement increases by 20% to the equivalent of almost 4 servings of dairy foods per day. 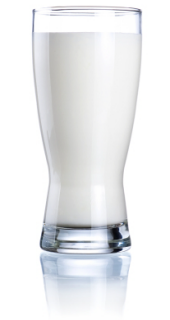 And though the Recommended Dietary Allowance (RDA) for vitamin D remains the same at this age, one would need to consume almost 6 glasses of milk or 4 oz. of salmon or swordfish daily to meet the RDA. If you are over 50 years old, you may want to ask your physician for a bone density exam and a lab test to assess your vitamin D status. Also, be sure to discuss any bone breaks, bone pain or muscle weakness with your healthcare provider. Small preventative measures and regular checkups are very important for staying healthy. Cashman KD. Diet, Nutrition, and Bone Health. J Nutr 2007;137:2507S-2512S. Retrieved from: http://jn.nutrition.org/content/137/11/2507S.full February 4, 2013. Dietary Supplement Fact Sheet: Vitamin D. Office of Dietary Supplements, NIH. Retrieved from: http://ods.od.nih.gov/factsheets/VitaminD-HealthProfessional/ February 4, 2013. The Surgeon General’s Report on Bone Health and Osteoporosis: What it Means to You. NIH. Retrieved from: http://www.niams.nih.gov/health_info/bone/SGR/surgeon_generals_report.asp February 4, 2013.